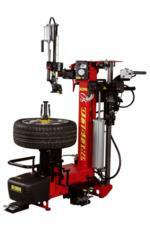 Our Corghi 500 tire machine is state of the art tire mounting technology. It can handle wheels up to 24 inches with ease. Reverse drop wheels are no problem. Don’t risk your expensive wheels with any run of the mill tire machine. After we are done mounting your tires we will balance them on our Coats wheel balancer for the perfect vibration free ride.